As i said earlier stuffed parathas are my favourite. They does not require any curries to pair with. Simple to prepare food for travel. I prefer dry food for travel and this stuffed parathas absolutely fulfills my requirement. Even my kids likes the less spicy stuffed parathas. In case if you have some leftover parathas to store for next day also easy as they are dry so easy to transfer them in to a container. 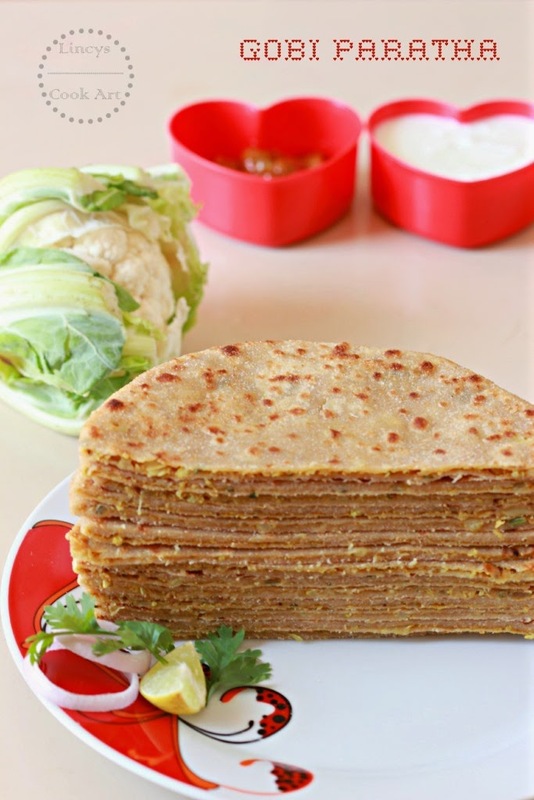 Stuffing can be made a day before and refrigerated and parathas can be made in minutes for busy days. I prepare the stuffing a day before and store it for holidays. It saves my time and i can able to concentrate other than cooking on Holidays. To make cauliflower stuffing, grate the cauliflower using a carrot grater or separate the small florets from the cauliflower head and grind them coarsely by pulsing them inside a blender.You can chop them very finely too. Add the ginger garlic paste and cook till the raw smell leaves. Add the ground or finely chopped cauliflower and salt. Cook the cauliflower till soft the pan closed with a lid for about five minutes on low flame with out adding a any water. Add the masala powders turmeric powder, red chilli powder and garam masala and mix well and cook till the raw masala smell leaves for fifteen seconds. Keep the cauliflower stuffing inside and gather the edges and press well to seal well. Note: You can boil the cauliflower in water to half cook them and follow the same procedure if you feel that it might have some caterpillar inside. Heat the tawa well on high flame initially and reduce the flame to low and cook the parathas. In between if you feel the tawa's temperature is getting down slightly increase the heat to medium, once it is hot reduce the flame and cook the parathas. If you are in a hurry u can cook it on medium flame. Never cook in high flame. 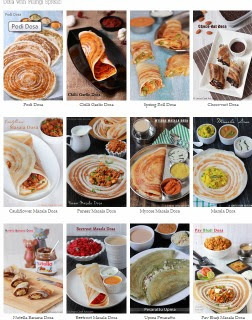 Loved the collection of parathas you have.. This gobi Paratha is just too good..